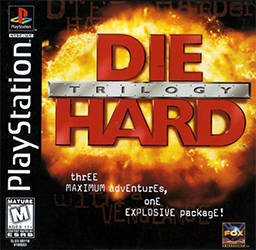 Die Hard Trilogy was released in the early days of the Sony PlayStation and was generally well received. We were all excited for this because 3D was becoming big as developers looked to leave the 2D style of game in favour of the blocky 3D models. Also this is Die Hard, one of the coolest film franchises ever, so why wouldn’t people want to play this? Well time has passed and the dust has now settled. Is this game really as good as we remember, or has it gone the way of the film franchise?